Are you an art lover looking for free public art around Massachusetts? If so you are at the right spot. Look through our list of MA public art. We have complete guide to the best public art locations in MA! Dr. Seuss National Memorial Sculpture Garden is a wonderful sculpture garden of MA where you can enjoy the wonderful sculpture of Dr. Seuss. This bronze made sculpture of Dr. Seuss is one of the finest public arts of MA. 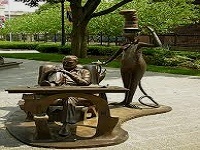 People looking for public art may come here to enjoy this bronze sculpture of Dr. Seuss. The full name of this person is Theodor Seuss Geisel, born in 1904. You can even check out the webpage for detailed info about this person and to know more about this wonderful piece of public art. The Botanic Garden of Smith College is a wonderful garden to visit. Over one hundred years ago the garden was found by L. Clarke Seelye. The unique collection of flowers, woody trees and plants and shrubs is the most exciting part of this botanical garden. Over 1200 types of woody trees, 6600 types of plants and more are here to see. The garden is in-fact an educational place that contains scientific value as well. Today the garden is considered as one of the most beautiful public art locations of MA. A visit to the garden will be great fun for all ages of people. There is lots more things to learn from here. Bridge of Flowers is a wonderful place to go. The eye-catching beauty of the bridge with many kinds of flowers, plants, trees and vines is a wonderful place for visiting. Orange lilies, blooming roses, delphiniums and lots more flowers are here to observe. 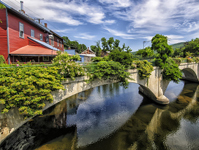 The bridge was built around 1908 as a trolley bridge and now it is an exciting place to go to. People that love flowers or love to have a wonderful time in a beautiful place, the Bridge of Flowers is truly an amazing place for them. People may also check out the webpage for more information. 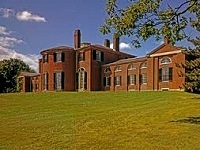 Codman Estate house is a historical place of MA. There are lots of things to visit. In-fact the garden of the house is also a lovable part of MA. You may visit the house with your friends or family. To visit the house they charge $5 for adults, $4 for seniors and $2.50 for students. The 1930's English cottage garden, the reflecting pool filled with water lilies and the wonderful ground of the house are attractive parts to visit. Inside the house you will find several portraits, memorabilia, art work and many more things to view. The house is even a wonderful piece of public art of MA that everyone loves to visit. Glen Magna Farms is a Danvers Historical Society owned farm. The farm actually carries the symbol of the golden age of American gardens. The overall farm is a beautiful place to visit, in-fact the garden in front of the building is filled with lots of amazing flowers and trees and is a wonderful place to celebrate any event. You can even rent the farm for any of your private occasions. For more information about the farm you can look at the webpage of it. The farm is a beautiful piece of public art of MA that everyone must visit. 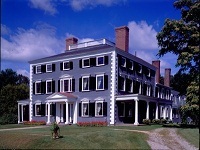 Gore Place is a historic house and a Federal period of MA. The place is now a wonderful tourist part of the state. The architectural beauty of the mansion and the big ground in front of it is the main attraction of the place. 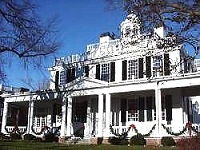 The mansion was built around 1806 as the home for Christopher and Rebecca Gore. Now the mansion is known as one of the beautiful pieces of public art of MA. They charge $5 to $12 to visit the mansion but it is restricted for kids under 6. The place is actually a historical part of New England. Besides the furnished mansion here you will even find many other things to view. Jeremiah Lee Mansion was built by American craftsmen during the year 1768. The mansion is actually a fantastic Georgian home and now a wonderful piece of public art of MA. The magnificent piece of architectural work gives the mansion a truly attractive look to view. The available hours to visit the mansion are 10:00 am to 4:00 pm Tuesday to Saturday. You can visit the mansion for $5 only and it is free for members. 18th century English hand painted wallpaper, early American furniture, Marble-head cabinet-makers are the attractions of this mansion. Pilgrim Monument is one of the tallest structures of America. The monument was built around 1910. 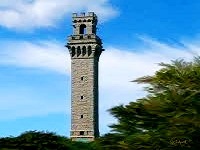 Overall the 252 foot tall Pilgrim Monument is now a wonderful attraction of MA. This beautiful and tall structure is even considered as one of the beautiful public art pieces of the state. The statue was built in memory of the first landing of Mayflower pilgrims. You can visit this wonderful monument any time you want. You can even check the webpage for detailed information about the monument. The Mayflower House Museum is a wonderful place to go. People looking for public art in MA may come to visit the house. The available hours to visit the house are 11:00 am to 4:00 pm. The house is even a historical house that carries the history of Edward Winslow and his family. You can visit the house for a wonderful experience of this great historical piece. For any details about the house or museum you may check out the webpage or contact them for available visiting hours and information. 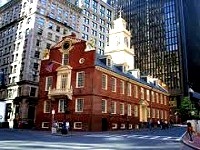 Old State House is one of the oldest public buildings and is a historical house of MA. 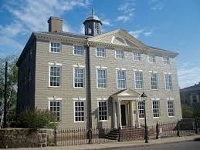 The house was built around 1713; it was in-fact a natural meeting place built for the exchange of local news and economics. The house is now a great public art piece that everyone should visit. To visit the house you will be charged $7.5o to $8.5o but it is free for members. Inside the house you will get lots of historical things to observe. The overall outlook of the building and the architectural work of the building are also attractions for the public.